I was tasked with creating a brand and marketing campaign for a tourism company in a given city during the class Graphic Design II. 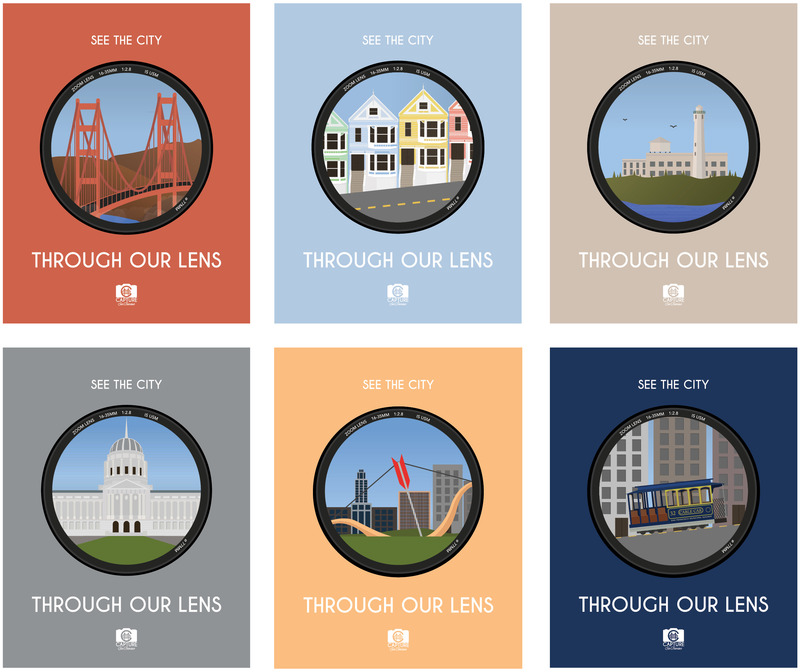 Given the city of San Francisco, I conceptualized a phototourism company, Capture San Francisco. The company would hire professional photographers to bring tourists to some of the famous sights of the city and teach photography along the way. After establishing the business model of the company, I began sketching out the icons and different logo ideas. I wanted an image for the logo that would incorporate a landmark of the city as well as photographic elements. I landed on the final design of the Golden Gate Bridge inside of the camera lens. For the marketing campaign I developed a series of 6 illustrations of San Francisco landmarks, all adhering to a common grid system. I used these icons to create a series of posters to be used for marketing the company.